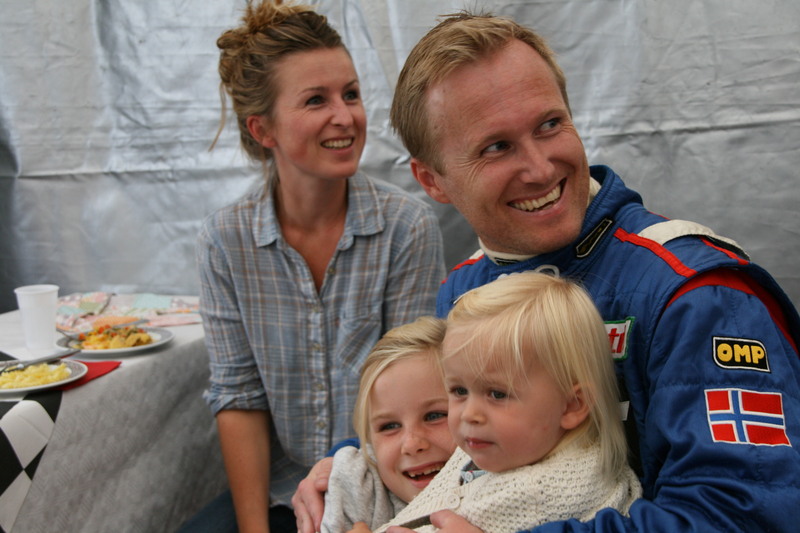 My name is Atle Gulbrandsen, and I’m a Norwegian racing driver, Formula 1 commentator and consultant. 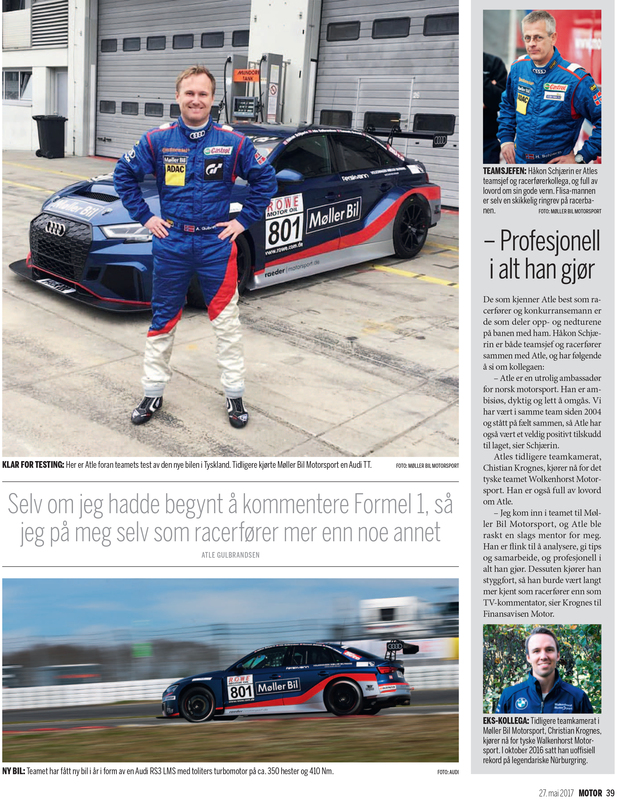 I currently race semi-professionally in the German VLN Endurance Series for Møller Bil Motorsport, I’m the Formula 1 announcer for NENT (Viasport and Viaplay) in Norway and I work as a consultant for several companies (among others the Norwegian ASN where I work as the sports director). Cars have been my life for so long I can remember, and I attended my first race, the legendary “Kanonloppet” in Sweden when I was five. Little did I know at the time that I would drive “Kanonloppet” myself ten years later. I was at my first F1 race when I was eight, and I started with karting when I was twelve. 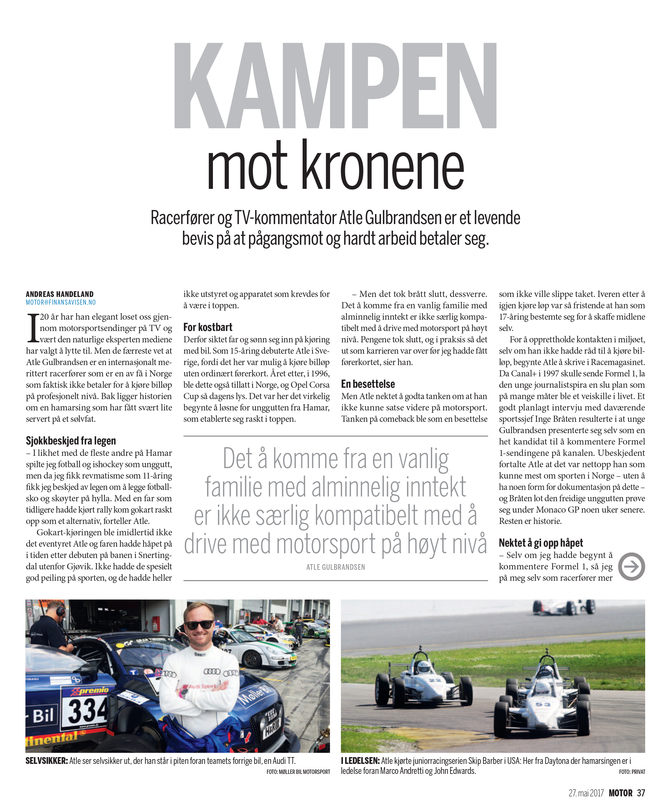 I raced just for fun in Norway and Sweden with my father as the team boss and mechanic. One of the reasons that I started with karting, was that I was diagnosed with rheumatism when I was twelve, and was told by the doctors to stop playing football and ice hockey. 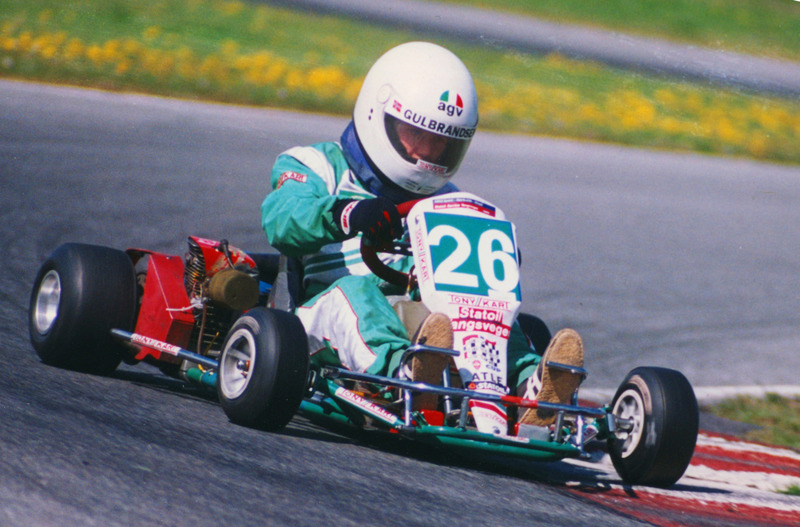 But karting was OK, so I sold all my 94 Olympic-pins even before the games at Lillehammer had started and bought my first gokart in 1992. 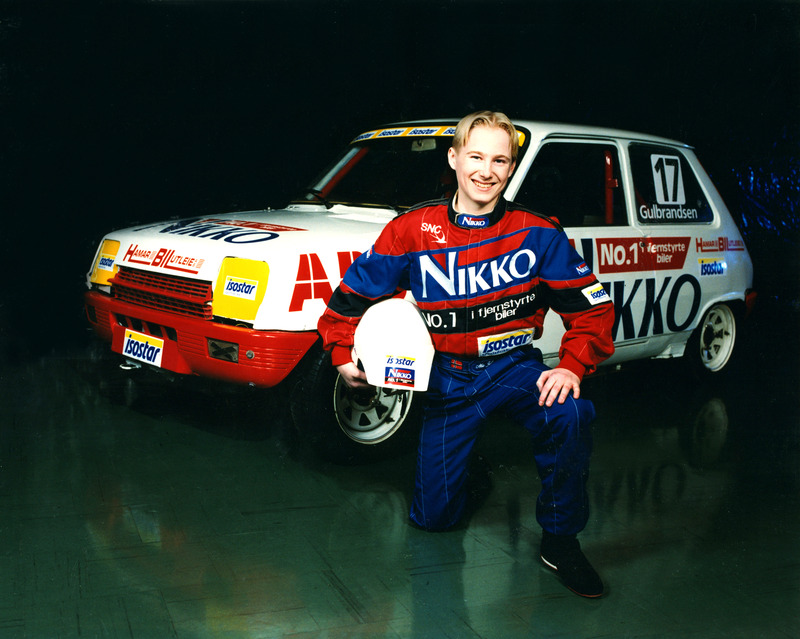 In 1995 it was time to race bigger cars, and I entered the Swedish Renault 5 Junior Championship. This was also just for fun, but I learned a lot, especially from competitors like Mattias Ekström, who later became a multiple DTM-champion. 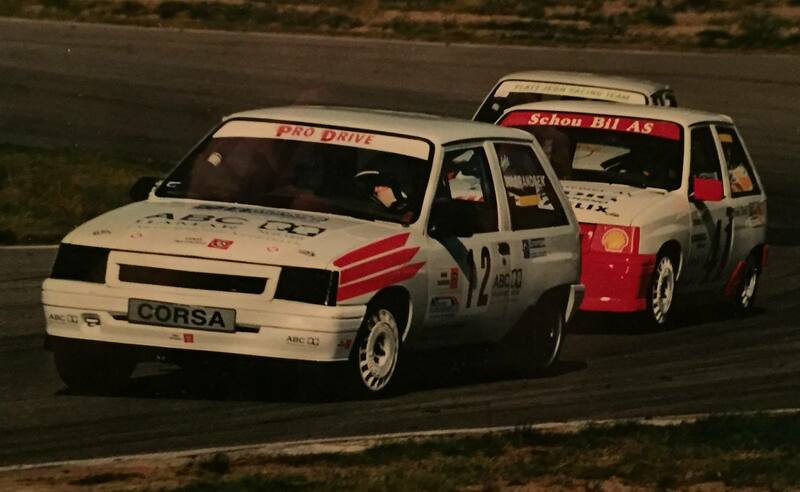 In 1996 junior racing for 16 year olds were allowed in Norway, and I entered the Opel Corsa Junior Cup. The season went pretty well with many podium finishes. I was on my way to a top three position in the standings also, but I skipped two races, and ended fourth. 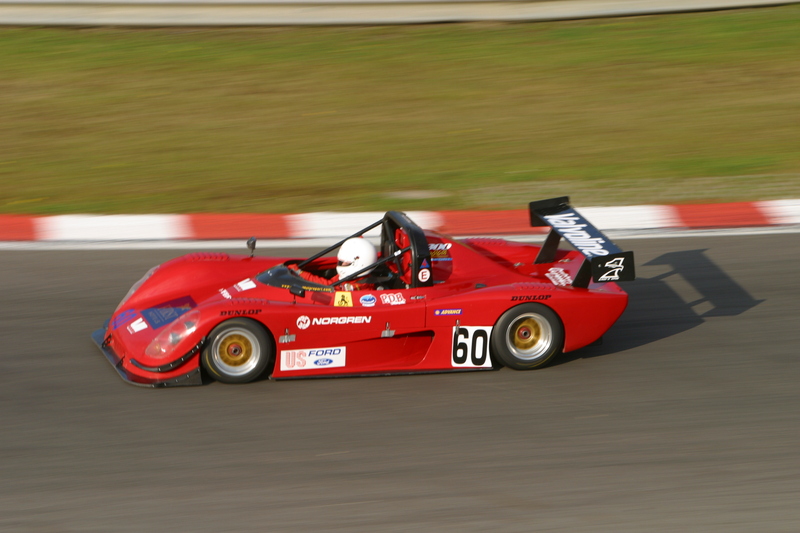 The reason was that I qualified for the final at the Winfield Racing School at Paul Ricard in France. There we raced Formula Renault, and I ended sixth. After racing in both Norway and France we ran out of money for racing, and it looked like my career was over even before I had got my drivers license. This was the time I started to work with motorsport in the media, both as a writer and a TV-commentator. 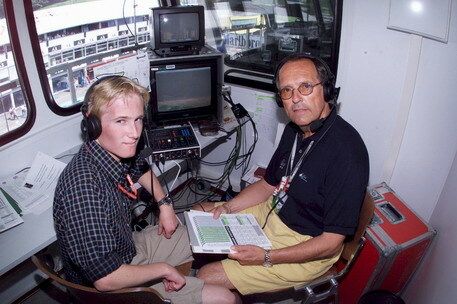 I was announcing my first Formula 1 race for Canal+ when I was seventeen, and I think I’m still the youngest F1-commentator ever. The year after, in 1998, I started to work for Norway’s biggest TV-channel NRK, together with commentator-legend Jon Herwig Carlsen (picture above). After high school I moved to Oslo, started to study journalism and worked as a freelance writer and commentator. Besides Formula 1 I did the commentary for championships like the WRC, European rallycross, STCC, Offshore Class 1, SpeedwayGP and many more for channels like NRK, Eurosport and TV2. 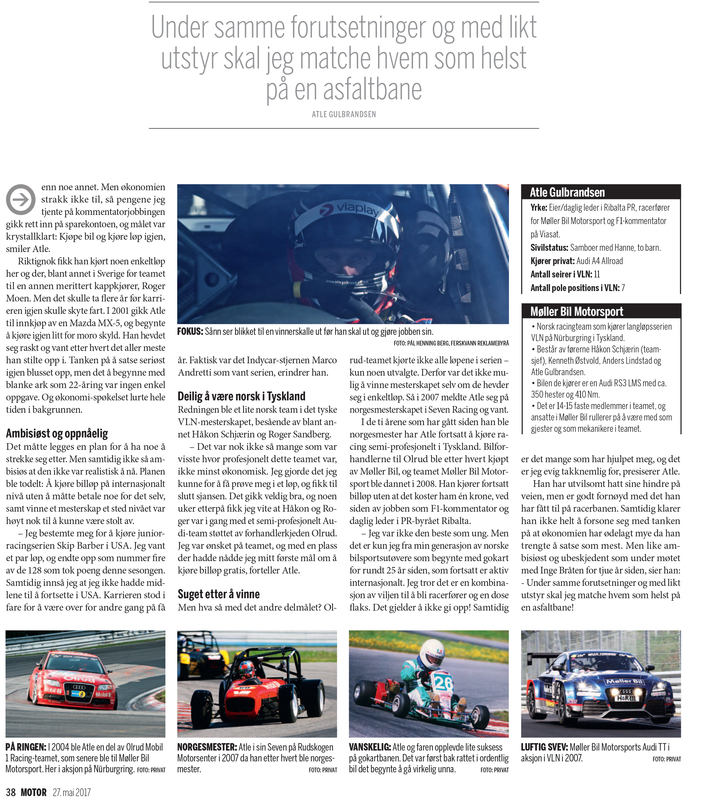 I also tested cars and wrote reviews for the magazines Vi Menn and Auto Motor & Sport. It was a great time where I travelled the world to test some of the most exotic street and race cars there is, and to write about motorsports. The years after I had to quit racing I was thinking of a come back 24/7. 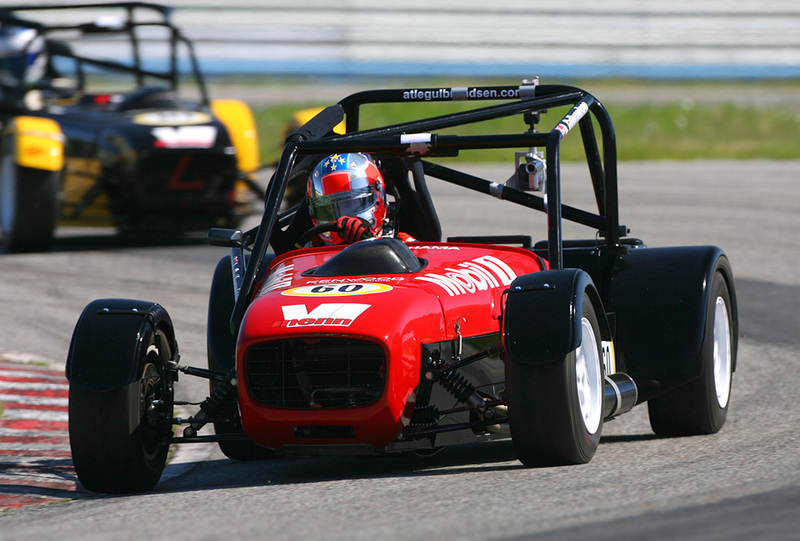 I did a few gokart races for fun, was co-driver in a couple of rallies and also did a few races in the Swedish Long Distance Cup. 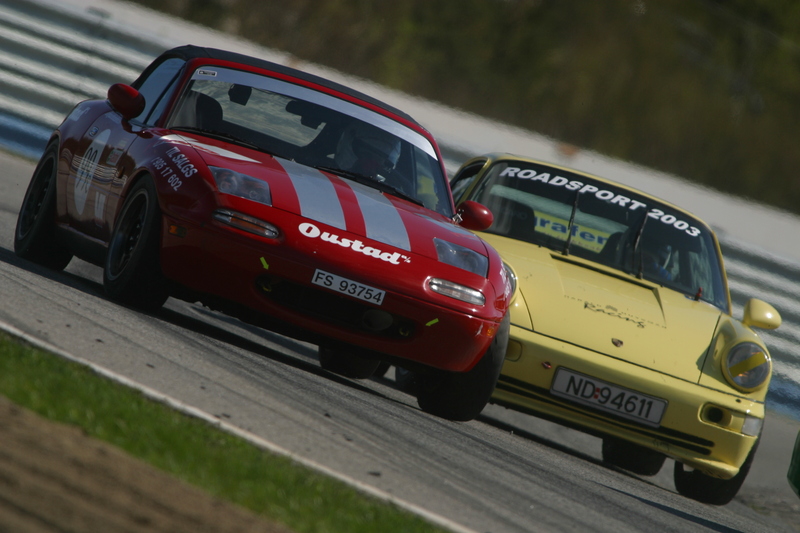 In 2001 I had saved enough money to buy myself a race car, and I chose a Mazda MX-5 for the Norwegian Roadsport Championship. The next three years I did 16 races with the Mazda and won 11 of them. I also did a few international endurance races at Spa-Francorchamps and the Nürburgring Nordschleife and the results were so encouraging that I wanted to do more out of my racing career. My aim was to race in the Porsche Supercup, the support-series to F1, and combine my racing with my job as a Formula 1 commentator on the same weekends. I didn’t succeed in finding the budget, so instead I used all my savings and travelled to the USA the fall of 2003. There I did the Skip Barber Southern Series over the winter and finished the season in fourth place of 128 drivers, after several podiums and two victories at Road Atlanta. 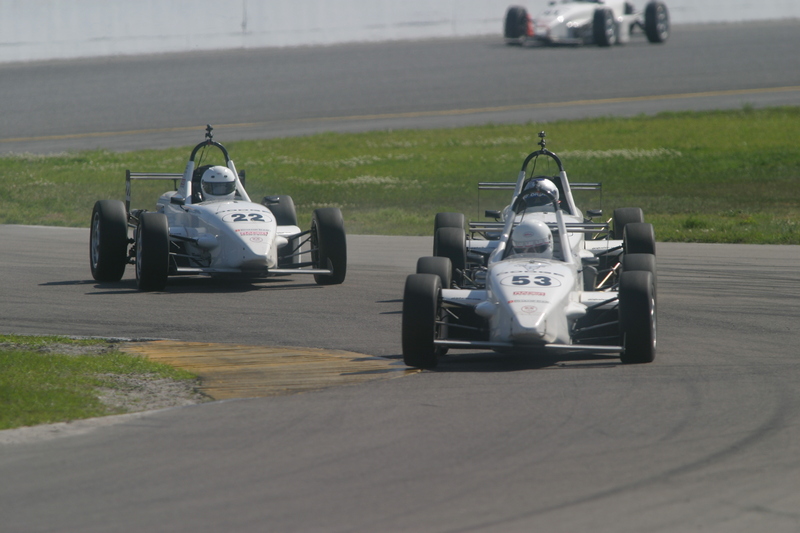 The season in the USA was a great experience with tough competition (like Marco Andretti and John Edwards, who are behind me in the picture above) and some great tracks like Sebring, Daytona, Palm Beach and Road Atlanta. After this I got my big break. I was invited to do a VLN-race in a Honda Civic together with Håkon Schjærin og Roger Sandberg. I set some very fast laptimes, and a couple of months later I was invited to be a part of the new team Olrud Mobil 1 Racing, that should race with an Audi A4. I had to invest some money the first year, but from year two I was a semi-professional driver, and didn’t have to think more about finding money for racing. This was certainly a dream come true, and we had three great years with very good results in the VLN-championship. 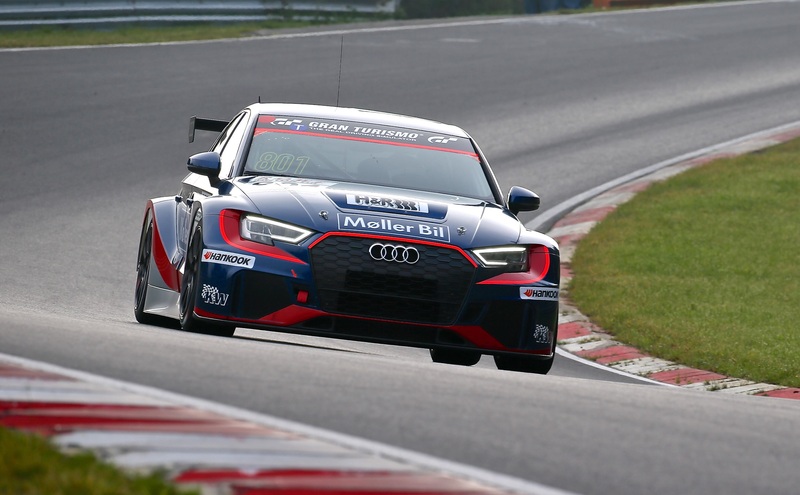 The VLN is a great championship that holds all it’s races on the world’s longest race track, the 25 km long Nürburgring Nordschleife in Germany. The average number of spectators are 30 000 (+200 000 at the annual 24 hour race) and a lot of factory teams and drivers start every race. 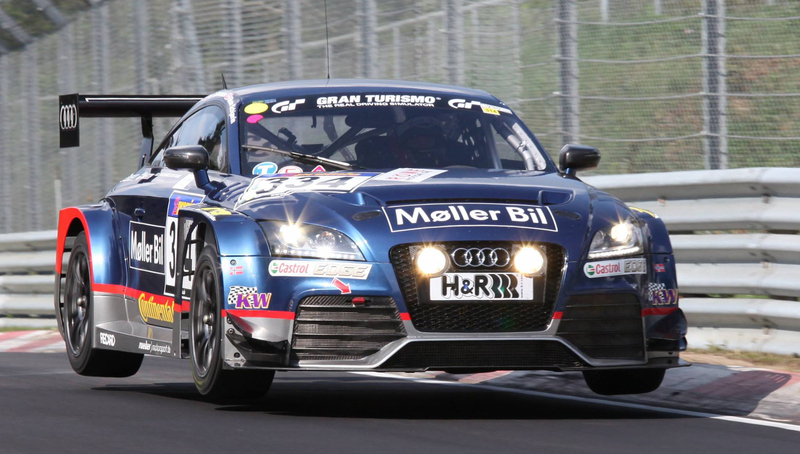 We didn’t do all the VLN-races with Olrud Mobil 1 Racing, so we couldn’t win the championship. Therefore I entered the Norwegian Seven Racing Championship, one of Norway’s most prestigous championships at the time, in 2007, and I managed to win the title in my first year. 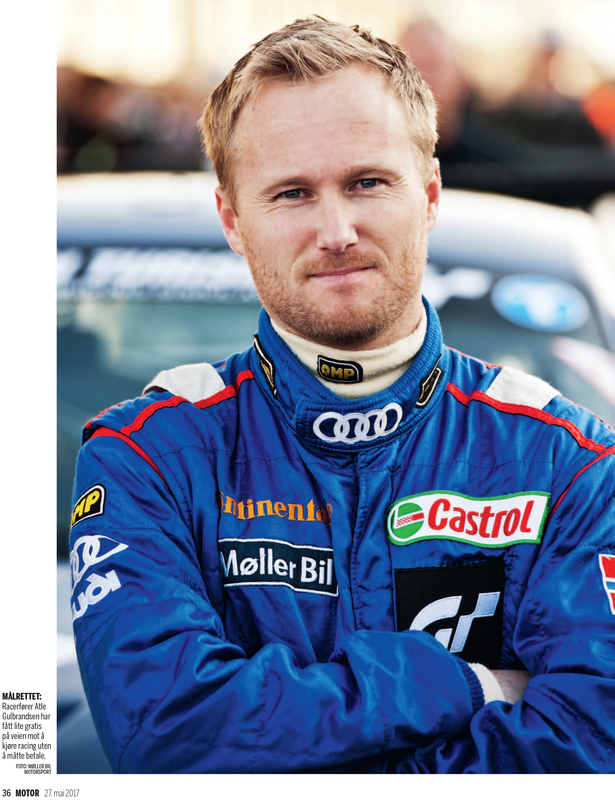 In 2008 Møller Bil, Norway’s biggest car dealership, bought the Olrud car-dealers, and founded the team Møller Bil Motorsport. 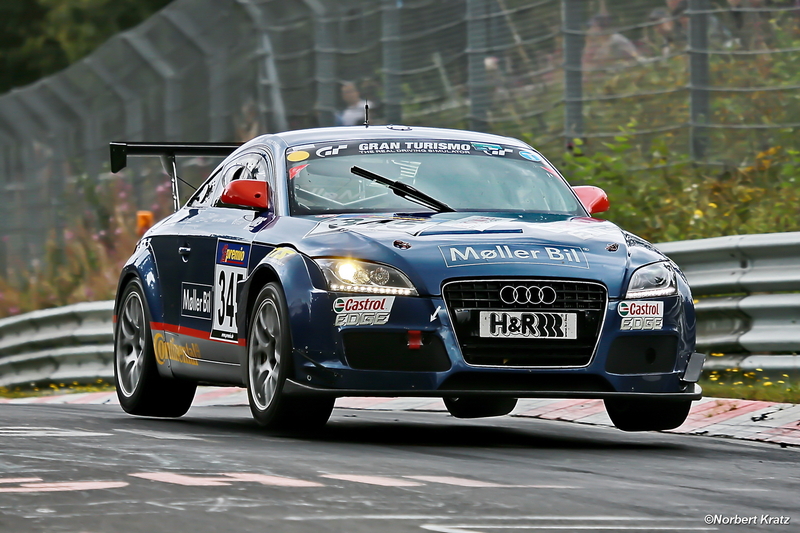 We raced with an Audi TT in the SP3T-class for cars with two liter turbo engines. We won some races, but also had a lot of technical difficulties. 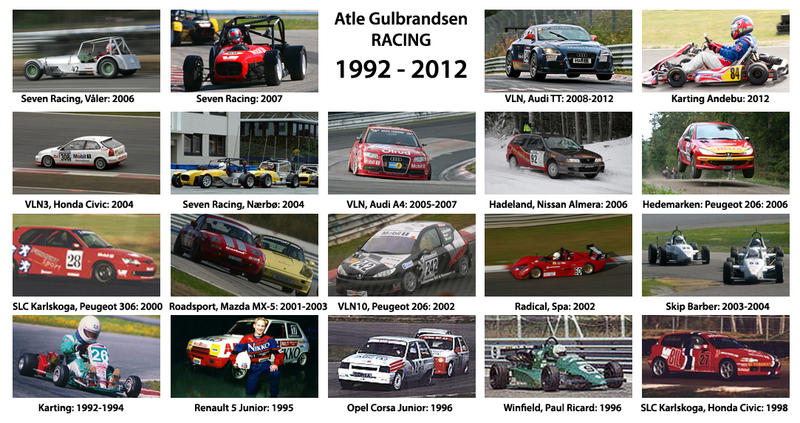 Anyway, I was quite satisfied with my first 20 years as a racing driver, and made the picture above. In 2013 we bought a new car, a factory-build Audi TT and started a technical partnership with Manthey Racing. We still had our Norwegian Møller Bil-mechanics during the races, and the results came right away. A great 2013-season was followed by an even greater 2014, 2015 and 2016 with many victories, pole positions and fastest laps in the highly competitive SP3T-class for my two team mates Håkon Schjærin and Kenneth Østvold, and myself. Today I’m a semi-professional racing driver, and that I’m very thankful for. 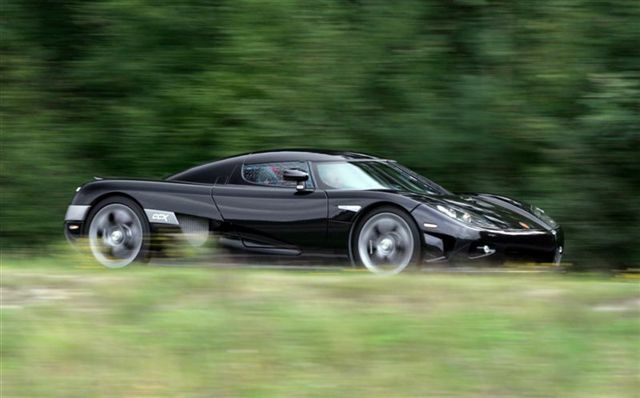 That means that the racing is not something that I earn money on, but I don’t have any costs either – opposite to 99% of all other racing drivers around the world. The racing is important to me, I use a lot of time on my sport, and it’s encouraging to see that I have never been faster than I’m today. And when I think back, I have to admit that I have come much further than I ever dared to hope for when I was younger. I’m still doing the Formula 1-commentary on Norwegian TV (Viasport and Viaplay), except for those F1-races that collide with my VLN-races, but I quit my job as a motoring journalist some years ago. Instead I started the consultant-agency Ribalta PR AS. And I’m having a great time at home with my family in Oslo. enjoyed reading this… great life you live…! !